I have a crush on Montserrat. I just can not stop thinking about these amazing climbs. 5000 rope lengths in climbing in an area small enough to drive around in 45 minutes. How is it possible? Expect to read a lot more about Montserrat here. And expect to find something very different when you have the chance to taste the full Montserrat experience. 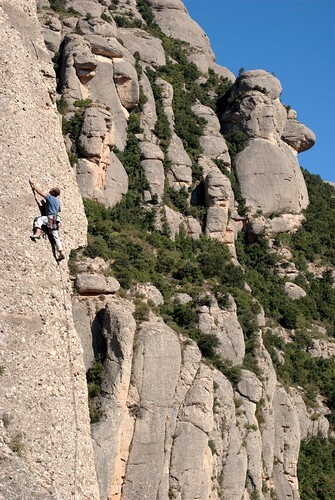 Tagged with montserrat, Photos, sportclimbing.